In future, mine planning software will automatically manage a fleet of UAVs, says Rocketmine. Local drone and unmanned aerial vehicle (UAV) operator, Rocketmine has secured contracts with four mining giants in Africa. The recently secured drone mining contracts will see the UAV provider offering terrain surveying, stockpile inspection, blast monitoring and mapping services to mining companies in Namibia, West Africa and SA. Founded in 2012, Rocketmine, a subsidiary of France-headquartered Delta Drone, provides customised drone data solutions to improve operational efficiencies and systems. The company focuses mainly on the niche mining sector, but solutions are applicable to a number of other industries, including agriculture and solar farms. In Namibia, Rocketmine has secured a contract with R"ossing Uranium Mining, a Rio Tinto-owned commercial mine. The mining firm supplied more than 133 000 tonnes of uranium oxide to the world in 2017. 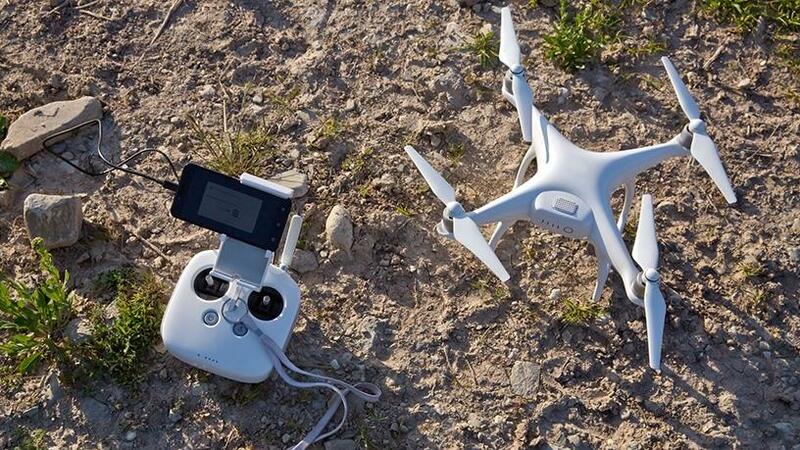 In order to achieve the best possible grade of uranium, the company says it has to optimise the accuracy of planning and inspecting by using professional drone services, which makes this process simpler, faster and safer than traditional methods. "The integration of drone technology at R"ossing Uranium Mine will enhance operational efficiencies pertaining to planning by providing expeditious and accurate data," says Christopher Clark, MD of Rocketmine. Rocketmine says it has also secured two contracts in West Africa, with Newcrest Mining in Ivory Coast, and Newmont Akyem in Ghana, to provide mine blast monitoring and fragmentation analysis and survey mapping. A contract renewal with South African mining giant, Exxaro Resources Group sees Rocketmine providing survey and mapping solutions to the Grootegeluk mine, in Limpopo, to improve mining efficiency and production. "A global cumulate amount for these African projects over the next three years equates to nearly one million euro (R16 591 908). These mines are clear cases that the future of mining will utilise technology not only to find innovative solutions but to decrease mines' carbon footprint," adds Clark. The ability to acquire and interpret accurate data unlocks many possibilities for mines to be optimal and efficient; however, some African mining firms lag behind in creating virtual access and control of their mining activities and data management strategies, he adds. "Our safety and cost-effective approaches contribute to a more streamlined and productive output on-site, assisting the client to achieve their targets," explains Clark. According to a PwC report, the global drone revolution is disrupting a broad spectrum of industries, ranging from agriculture and mining, to transport, logistics and filmmaking. The market value of drone-powered solutions is over $127 billion. In future, mine planning software will automatically manage a fleet of UAVs - completely autonomously - to collect high-resolution coordinate scans, imagery and other remote sensing of the entire mine, adds PwC. Last month, Anglo American subsidiary, Kumba Iron Ore announced that it had been granted a license to fly its own remotely piloted drones, after working through an intense two-year accreditation process. "This licence allows us to operate our own drones, with our own pilots, at heights of up to 1 000 feet. We worked through two years of complex legal, governance and logistical challenges to earn an operating licence to fly our remotely piloted aircraft systems, and the technology is already proving a game-changer at our Sishen mine," said Bongi Ntsoelengoe, technology manager at Kumba Iron Ore, at the time.